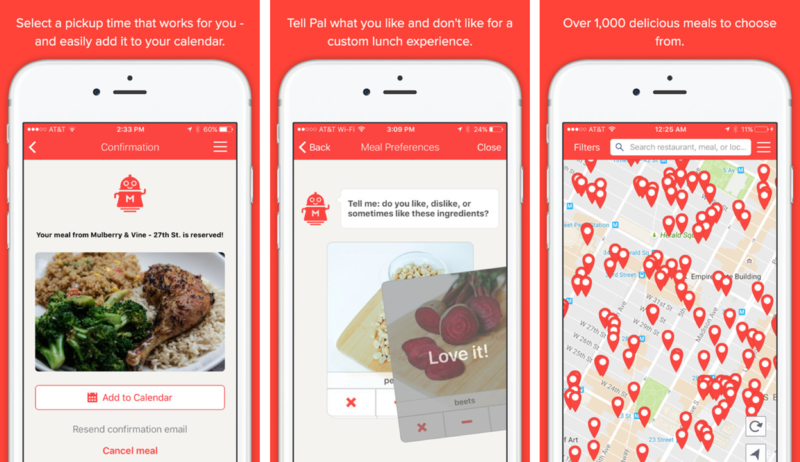 First ClassPass, now MealPal (previously MealPass). We chatted with co-founder Mary Biggins about the challenges (and triumphs) she has faced getting her latest endeavour off the ground, and directly into your bellies. Founded in 2016 by Mary Biggins and Katie Ghelli, MealPal (formerly known as MealPass) has facilitated more than 2 million reservations for lunch, and is already in 10 cities worldwide: NYC, Boston, Washington DC, Chicago, Philadelphia, SF, Miami, London, Toronto, and Sydney. In February this year the company announced $15 million in Series A financing led by Comcast Ventures, the venture capital affiliate of Comcast Corp., with participation from Bessemer Venture Partners, Haystack Partners, and NextView Ventures. SnapMunk spoke to MealPal co-founder Mary Biggins. Can you describe Meal Pal in five words? I can do it in four words. Eat intelligently and affordably. What makes MealPal stand out from the noise? For most meals, consumers are looking for three things: great food, efficient to get, and affordable. With MealPal, we partner with great restaurants, making lunch efficient and affordable so that people can go into a restaurant, skip the line, pick up their meal immediately and spend as little as $5.99 per day for lunch. Did ClassPass influence you when you started what was MealPass, now known as MealPal? It certainly influenced my entrepreneurial journey. I’ve been fortunate to work at a variety of entrepreneurial companies through my career, and have been able to take aspects from each of them. When I worked at Vistaprint, I saw the passion and commitment of small business owners, and have been inspired by them ever since. Both ClassPass and MealPal help small businesses amplify their reach and increase profitability – while the owners can focus on what they do best – whether that be leading a yoga class or making the best Pad Thai. Just over a year ago, a business publication decided the service wasn’t worth it because of their experience with the app; what do you have to say to that now? When we launched MealPal, we did so incredibly fast – with a product that was built in just a month by an off-shore team. We cut a lot of corners to figure out if we had product market fit. The good news was that we did, and people liked the concept, but the bad news was we suddenly had a lot more volume than we expected. Since then we’ve built out an entire engineering team, rewritten the website in a different language, and completely rewritten our iOS app, and launched an Android app. It’s a completely different experience now. When you were getting MealPass, now MealPal, off the ground, what were the biggest challenges that you faced? The biggest challenge in getting started was understanding the value proposition on both sides of the market. For MealPal, understanding the consumer value prop was a little bit easier because we knew consumers wanted something efficient and affordable. But for restaurants we really had to understand how their lunchtime operations worked, and how we could be a valuable partner to them. When you went in to sell in your value prop to restaurants, was it difficult at the beginning or could they immediately see the benefits? In the beginning, we didn’t really know what the product was, so a lot of our first restaurant conversations were very much exploratory. We were really interviewing restaurants about what worked well and what didn’t work well, where they spend a lot time and money, and where they wish they had more efficiency. It was through these conversations that we could brainstorm together with restaurant owners to figure out an efficient solution. Food is a different play when it comes to consistently satisfying the clientele and members. Is this proving a harder endeavor, the consistent satisfaction, than ClassPass was? Food is so personal. What I love, you might hate. Given that food is so personal, it makes the value of a platform like MealPal that much greater to the consumer. We believe that every meal should be a consumer’s best meal given what they like and what will be convenient to them in any given day. Every consumer who joins MealPal is taken through an onboarding flow so that we understand their preferences and can make sure that their future food recommendations are perfect for them. How do you measure your success with MealPal? Based on how happy our restaurants are, and how happy our consumers are. When will you open MealPal beyond invitation only? If you could solve one problem in the world outside of day-to-day consumer service or business what would it be? Why and any ideas how? It would have to be something around climate change. A big part of climate change is educating consumers so that they have an idea of what little things they can do that can actually make an impact. What other businesses or entrepreneurs do you personally find impressive or inspiring? I really love Stitch Fix. They’ve used data in an impressive way, and really streamlined their business. I was also really inspired by Robert Keane, the founder of Vistaprint. He built a culture focused on making decision based on data, and where individuals were empowered to test new ideas to drive better results. That focus on data and analytics and always testing has certainly had a big influence on me, and driven the types of people that we’ve hired at MealPal. I really like to see companies like these come together. That is a great point. Get all the bugs worked out and then you can move on from there! Great interview! I really like posts like this and especially when they dig into the startup, where it began, how it was in the beginning and where they are going in the future. I was thinking the same thing. You really get to know more about the company through interviews like this. It seemed like the company had a rough start. Once you get things going, in any small business, you learn so much and the success comes if you can prove you know what to do with those lessons that you learned. So many start up companies do have a rough start and the ones that are successful, know how to pull away from that tough beginning. I wonder what the reason was for changing the name? Sometimes it has to do with branding or sometimes it has to do with a legal issue. Either way, my opinion is that the new name fits it better. You never know. Maybe there was a lawsuit involved with that name change. The original MealPass glassdoor profile had so many scatching and negative reviews from past employees who helped get the company up and running. Apparently they were treated like dirt and stepped all over on only to be “let go” unjustly. I think its pretty crappy that a publication would even write such a bad review based on one thing. I see the company has come a long way since then and now they can look back at the learning experience. Yeah no kidding, it seems they had a pretty hard go at it in the beginning. I would hate to go into restaurants today with a sales pitch like this. Especially since they are trying to hard to make money! These types of services seemed to go by the wayside for a little while and I am sure it had to do with the fact that the cost was so high for the consumer. If the company can get the cost down, regardless of how, I think there will be more success there.